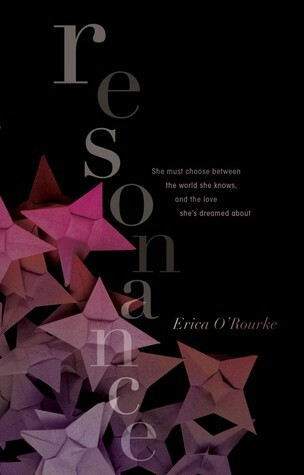 I’m pretty sure I read Resonance the perfect way by binge reading it with the first book, Dissonance. The two books flow together perfectly and I was utterly captivated and submersed in the world. I’m still in a bit of a hangover from it. It might be hard not to spoil things in book 1 so reader beware. Where I felt like the plot in Dissonance had a lot more focus on the romance and the Walker society, it felt like Resonance had more of that thriller, action-packed take on it. We rejoin Del who is mourning after losing Simon in an Echo but soon discovers he might not be gone for good. As Del tries to reunite and find Simon, it becomes a race against the clock when she gets caught up in a war between the Consort and the Free Walkers. Friends are Enemies, Enemies are Friends. There is a lot of gray areas. We get more about the Free Walkers and how they operate but not as much world building around the echoes. I don’t mean that in a bad way, we first got the framework and now we are filling how the gears actually turn. There is something that I wasn’t expecting and that ends up being explored more and I like how Erica digs into this. I felt like we were getting a whole different side that we didn’t get in Dissonance. I really love the characters because they are all so different. Before I had thought maybe Addie didn’t even like Del but we can see now how she really cares about her. Same with Del because she sticks up for Addie even if she is not being accused of anything. Del’s parents are still the absent sort who decide to be parents when they have nothing else to do. Then of course there is Monty. What a complex guy and I think every time Del thinks she has him pegged, he changes. We meet some Free Walkers who are very driven and very cold. Not only did I find this to be a great Sci-Fi but a great Duology too. I really liked how Resonance picked up the things left off in Dissonance and was able to introduce new things and expand. I missed having the snippets of the guides/rules to be replaced by the countdown but it felt appropriate. Del and Simon’s romance has not sizzled out but they are preoccupied with other things. It’s more that they have settled into a comfortable partnership. Where they are able to support the others goals, they still have their sweet moments but you know, war and all that is a bit distracting. Del is still impulsive and hot tempered as always. She’s kind of considered a ticking time bomb but that is almost what they need to mix things up. Someone who you can’t predict and is often underestimated. She uses her “flaws” to her advantage and also gets to see herself in a different light as she learns life is not a game. I really loved this series. I loved the Multiverse and the logic behind how it works. If you are a Sci-Fi fan you should definitely pick this up. Erica O'Rourke will be signing with other YA authors at Anderson's Bookshop Wednesday July 29, 2015. 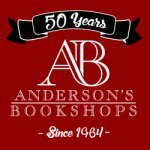 You can order a signed book and have them send it to you by calling or ordering online. Make sure if you order online put in the comments that you want it signed and to who. Before I had thought maybe Addie didn’t even like Del but we can see now how she really cares about her. Same with Del because she sticks up for Addie even if she is not being accused of anything. Del’s parents are still the absent sort who decide to be parents when they have nothing else to do. Here we are with some more useful stuff that are Providing the all Microsoft Customer Support for the world wide users. hye are you daily internet user, then you must have to know internet security tips to protect yourself. The review is so nice and hope that we will get more new information regarding this post as soon as. If you face any antivirus security issues then contact to Kaspersky Support Number to get the best solution by the experts. Useful Information You have the nice information thanks for sharing. we provide Laptop Antivirus Support service, if you have any problem you can contact with toll free number +44 800 048 8653 Laptop Antivirus support. Useful information. We are providing instant Application software support Number so just call now our Application support Phone number: +44 800 098 8380 and take solution right way Application Support is here to help.